EXTREMELY RARE OPPORTUNITY! IRREPLACEABLE PROPERTY! PANORAMIC VIEW OF THE OCEAN, MOUNTAINS AND CITY. 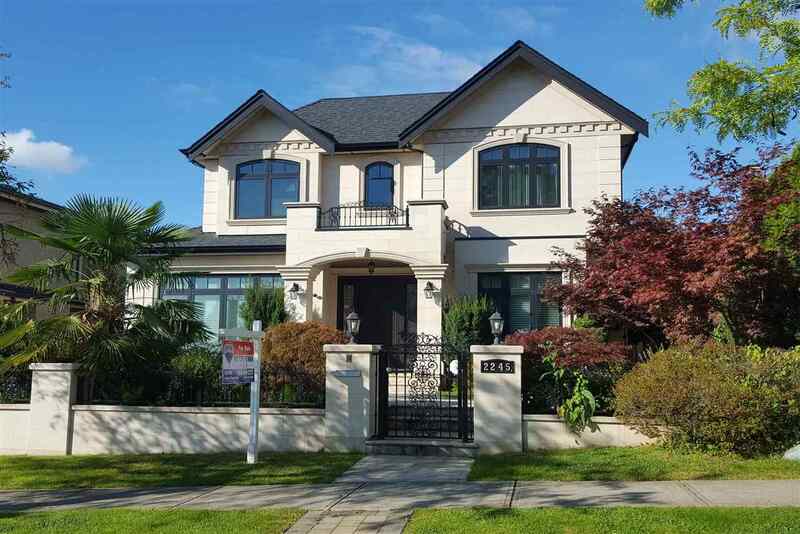 OVER 37,000 SQ.FT ON A BRIGHT AND SUNNY HUGE LEVEL LOT IN THE MOST PRESTIGIOUS WEST POINT GREY LOCATION. Exclusive estate - 4,800 sq.ft of living space. RENOVATED HOME TO IT'S HIGHEST STANDARD IN 1996, w/your private TENNIS COURT, GOLF PUTTING GREEN, detached INDOOR SWIMMING POOL, HOT TUB & SAUNA. Total 4 spacious bdrms, 2 dens, 5.5 baths, extensive use of hardwood flrs thru-out, security sys. DETACHED COACH HOUSE W/KITCHEN FOR NANNY IS A BONUS. CLOSE TO WEST POINT GREY ACADEMY, UBC, LORD BYNG HIGH, QUEEN MARY ELEM. MUST SEE!! PL VAP6583 LT 12 BLK 3 DL 140 LD 36.